A heartbreaking thing for any runner to hear. And I wasn’t even injured. So when my conservative fertility doctor told me this mere weeks before my 50 miler in 2016, I was beyond crushed. Nick and I were a few years into the process of trying to start a family, it wasn’t going the way we thought it might (1 in 8 couples struggle with infertility), and we were willing to do almost anything; but these aren’t necessarily words you expect to hear, or want to hear. I always had somewhat naive expectations that I would be running strong leading up to, and during pregnancy. But that’s not how my story would unfold. I would learn that pregnancy is different for everybody and every body. That in pregnancy, it’s okay to let go of expectations and slow down. And how “listen to your body” would take on a whole new meaning. I discovered the many adjustments that needed to be made throughout, how to embrace them, and just enjoy the love of the run with a new running partner. Needless to say, I approached that 50 miler (RRR50) with a mixed bag of emotions. I was grateful for the solid training I had for a new distance, relieved the way everything lined up for the “perfect” race (weather, fueling, body cooperation) and a bit mournful knowing that it would be my last big run/training cycle indefinitely. Could I equate this to an injury? Slow down. Cut back. Modify. After the 50, I did adjust my typical running plans and expectations for myself. This was hard for a Type A gal like myself! I like having a plan, I like seeing my coach’s training schedule pop up in Training Peaks, and I like striving for goals. But I cut back, I slowed down, and I modified. I opted out of any speedwork and didn’t add any massive long runs. I didn’t follow my doctor’s orders to a T (I can’t be the only one who allows for some flexibility here!) but I found what I felt was a good compromise between what I had been doing leading up to this point and what I still felt I “needed” to do to stay sane and still feel that runner’s high. It took some time, and letting go of race FOMO (I always have a short/long list of races I want to do! 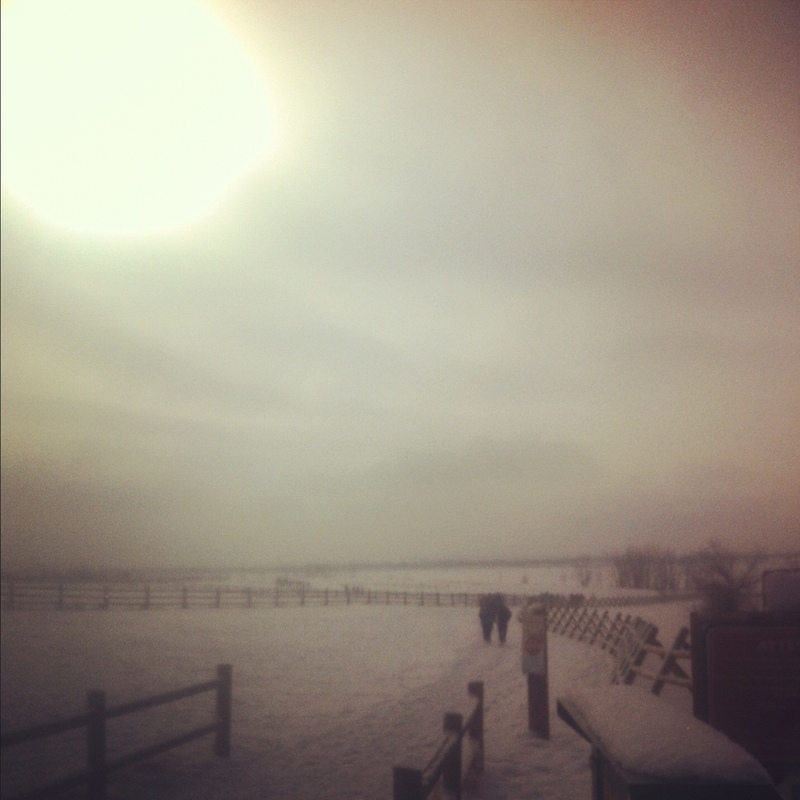 ), but I was able to alter expectations of myself and just run for fun. It was just for a season, after all. I just didn’t realize how long of a season that would be. After more than a year of those altered expectations and casual running, months of testing and fertility treatments, emotional high and lows, Nick and I finally got the news we had been waiting for! We were beyond nervous and utterly happy. And all that casual running with no goals and no plans suddenly didn’t matter anymore. I was just happy to still be running at all. I had come to terms with the fact that my story wouldn’t allow for half marathons and long trail adventures during pregnancy. But it didn’t change the fact that I still saw myself as a runner. A part of my identity that’s important to me. And then, all of a sudden, casual running was too much and I made adjustments and altered expectations again. At 26 weeks, pelvic pain caused me to modify my running to a run/walk combo. I didn’t even know this type of pain existed! With a ton of pelvic floor exercises and a support belt, I could still get out and get moving with minimal pain. Looking back, I guess I just wasn’t ready to let running go completely, even if only doing it at a minimum. Each time out varied, but I listened to my body and did whatever felt right without pushing it too hard. I had no idea how much longer this new modification would last, but I planned to enjoy it with my mini me while it did. Around 33 weeks, I made the hard but necessary decision to stop running for the rest of my pregnancy. Between the increased pelvic pain that suddenly decided to hang around all the time, the general discomfort during and after running, and the recovery following each run (I’m no spring chicken and pregnancy was requiring a lot more rest time! ), this was definitely the best choice for me. And bless the women who can run until the day they give birth! For whatever reason, I was finally in a good place to just let it go. Perhaps I was hanging onto pregnancy running for too long anyway. Perhaps I knew that pushing through any ache or pain at that point wouldn’t be worth it in the long run. I wasn’t training. I didn’t need to push. I want a running lifestyle, not to just say I ran for X number of weeks while pregnant. My greatest reward, my medal (if you’re into that) would be Baby L. Perhaps I had finally reached the “acceptance” stage. I’ve remained active with walking, lifting, yoga, and prenatal workouts. These things feel good and they meet my needs at this time. But the many adjustments and altered expectations of myself in the past two years have reminded me of something I have really known all along. That things sometimes don’t (rarely?) go as planned and to embrace your story, letting it unfold as it may. I’m no less of a person/athlete than I was before this all started. What’s right for one person might not be right for another. Do what’s right for you. “Do you,” as Steph Bruce says. And that while I may be talking about “pregnancy,” this concept can actually be transferred to many of life’s seasons. While I know I’ll have to change my expectations yet again postpartum, I know my story is just that. MY story. All mine. Unique to me and quite possibly perfectly different than someone else’s. I know I’ll carry these reminders with me as my new normal unfolds into motherhood and as I teach my daughter respect for herself and to embrace her own story, whatever it may be. That being said, I will be using this major life change to make other adjustments and alter expectations for myself in other areas. I will be stepping down from leadership with the CO Volee team at the end of this season so I can continue to focus on my story. The last three years of leadership have been so much fun and I’m confident in the leaders who will remain and in those whose time it is to step up. I’m certain I’ll run into many of you out on the trails and at future meet ups. *I’ve been careful not to say “lower expectations” of myself. I don’t consider my expectations to have lowered since becoming pregnant. They are altered, because I’m pregnant, to accommodate the many changes that are going on in my body and the really cool thing that is happening (making a human). Conferences didn’t kill me. Webmaster of our school’s website hasn’t either. They’ve just made me question my sanity. Ran a decent 14 miler this weekend. Now, it has me physched up for a race. In a good way. I am really looking forward to getting out on a cool, crisp, fall morning for a race. Not that I’m expecting anything speedy, just that feeling…I’m already planning my 2013 race schedule. One of which I’ll be registering for on the 15th. On another running note, I’m finally at that mileage status where I can justify run dates with friends. Up until recently, I have primarily been running solo, or at least with Chase. My brief hiatus and the gradual buildup have been healthy and good, but it’s so refreshing to pass the time chatting with Erika. Oh by the way, be sure to stop by SUAR‘s site for a fantastic giveaway! Even when I don’t win, I’ll be purchasing a ring for myself…or for a friend! Things are crazy around here, so bear with me. I’d love to write over here in this little corner of my world, but it seems that parent emails, admin emails, reading/writing/math assessments are all getting the best of me. I’m a working girl again. Sue me. I can promise that you aren’t missing out on too much. 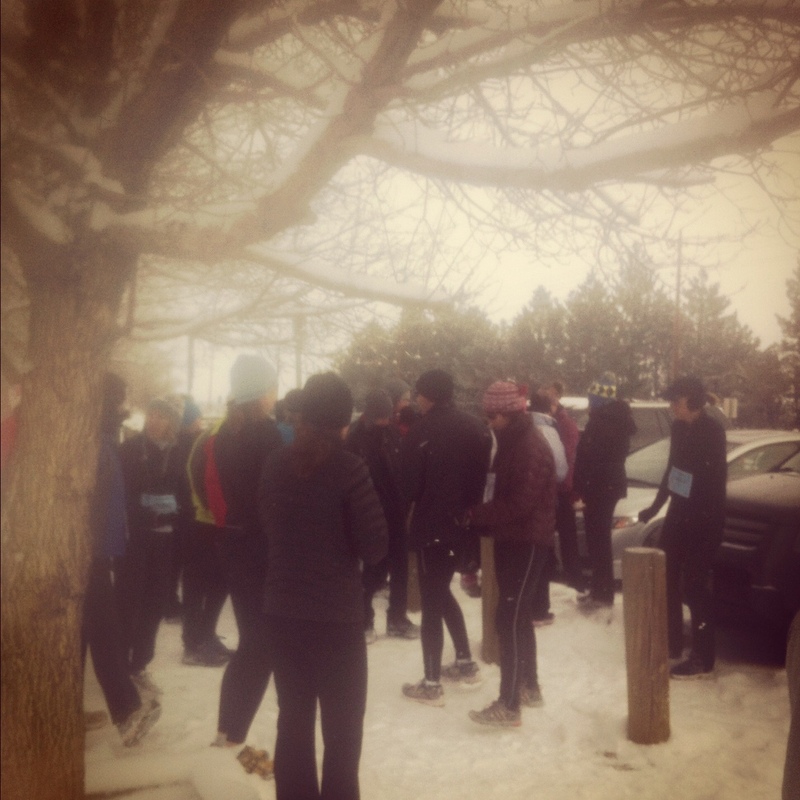 Saturday morning, I bundled up against the frigid temperatures that fell on Boulder and the surrounding areas. A fresh blanket of dry, powdery snow had fallen overnight. I arrived at Coot Lake, the northeast entrance to the Boulder Reservoir, at 7:45am. A balmy 9 degrees. With my fists balled inside my gloves and layered sufficiently, I set out on the slippery, icy, snowy trails and backroads solo to complete as many miles as possible before meeting up with Beth and those who would run for Sherry. Despite the clouds, cold, and snow, the Colorado diehards were out in full force. 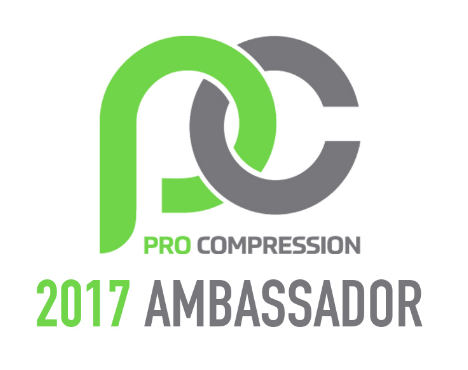 In an area where many running groups and elite train, it’s hard to venture into this area without seeing the passionate. I reflected on Sherry, someone I’ve never met, and the impact she has recently had in my life and in the global running community. I finished back at Coot Lake with 6 miles, recharged and warmed up in my car, and donned my bib. People were starting to congregate. Beth arrived, greeting everyone with a big smile, a warm heart, and rememberance bracelets; which I’ve been wearing the past two days. Psalm 46:1 "God is our refuge and strength, a very present help in trouble." Shortly after 9am, with a crowd of around 40 (I’m terrible with crowd guesstimates), Beth shared with us a little about Sherry, her life, and the type of person she was. We concluded with a moment of silence. By now, Erika had met up with me and we ran for Sherry. A loop around the Res and Coot Lake for 6.6 miles. I took this shot of the run after popping out onto the road from the Boulder Res trail. If you look closely, you can see several groups of runners, single file, in the background. By the time we had finished, the clouds had moved away and the sun was out. For me, it was a wonderful analogy of my emotions. I started the run feeling pensive and melancholy; but ended full of renewed hope as I ran the final miles of my 17 for the day. Lots of love, Sherry. You will forever be in our hearts. Like many of you, I was keeping a close watch on the very unfortunate events that took place in January in a small town in Montana. I was devastated to learn that one of us; a teacher, mother, wife, daughter, runner; went on a routine early morning run, never to return. Sherry Arnold’s circumstances resulted in great reflection for me. This hasn’t caused fear in me. I won’t stop running. I won’t stop doing what I love. It’s a newfound awareness and appreciation for this passion of ours. Knowing that life is precious and can be taken at a moment’s glance. A casual goodbye could be a final goodbye. 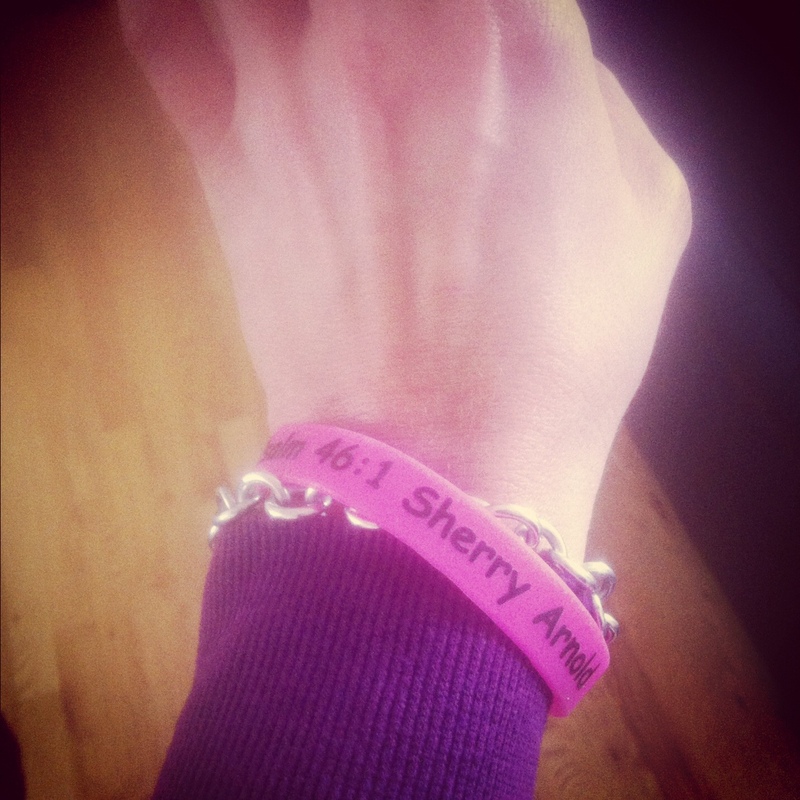 On Saturday, February 11, 2012, SUAR is organizing a Virtual Run for Sherry Arnold. 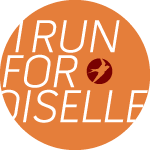 Print a bib, pin it to your shirt, and at 9am MST, run as little or as far as you’d like. 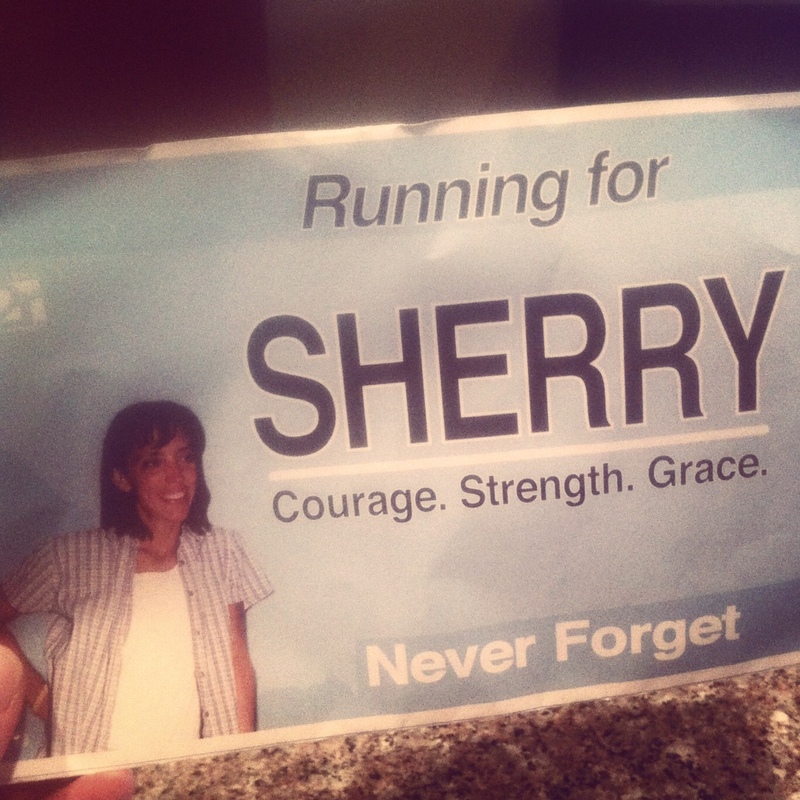 Run for Sherry. Run to remember that one of ours is no longer with us, and to remember why we love what we do. I am fortunate to live near SUAR, and I will be joining her for a rememberance run at the Boulder Res that morning. If you live around Boulder, or anywhere in Colorado, you should make it a point to be there too! A facebook page for the run has also been set up. Post where you’ll run, add pictures, etc. Please run. 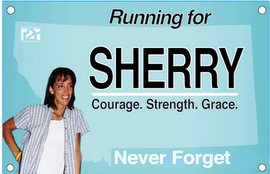 Run for Sherry. I’ve been sick this week. Not with a cold or the flu. My heart’s been sick about Sherry Arnold. Since SUAR first posted about the disappearance of Sherry, who went out for a typical evening run, I’ve been worried. And as each day went by, I worried more a little more, because we hadn’t received the news we wanted. Now, our worst fears are confirmed, because Sherry will not be coming back. Words don’t accurately express the sadness I’ve been feeling. Throughout this week, I have been a little more cautious, a little more aware. I have run more with friends and have told the boy where I’d be running more often. This week I’ve thought of Sherry. I’ve thought of my circle of running friends, and the greater running community. Anything can happen out there on the roads and trails. Make sure you’re safe, that someone knows where you are, or that you’re not alone. Life is precious and can be taken sooner than expected. Hug the ones you love a little tighter. SUAR wants to plan a virtual run in honor of Sherry, and there is no way I wouldn’t be a part of it. Thoughts and prayers to SUAR and the rest of Sherry’s family.